The new 2.4G Radio means longer range, no crystals, no external interference and no interference from other cars. The intelligent digital radio automatically switches between different channels so you will never have another car on the same channel. Not to mention no long aerials to snap on the RC Truck or transmitter. 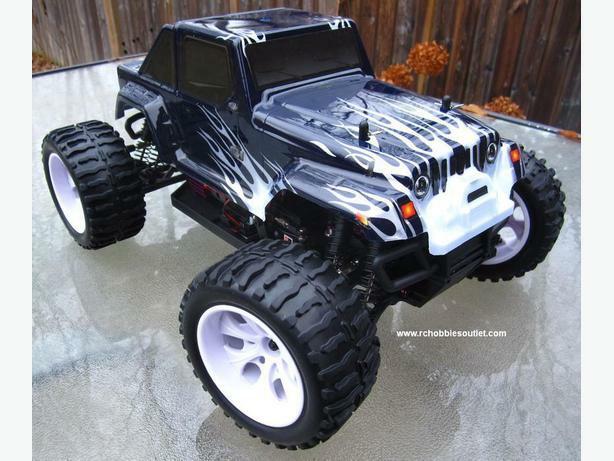 This RC Truck comes with a 12 month warranty against any manufacturer defects. More details are available on our website at www.rchobbiesoutlet.com. Fast low cost shipping is available to your area. Just order your RC product on our website www.rchobbiesoutlet.com and we will ship it to you.